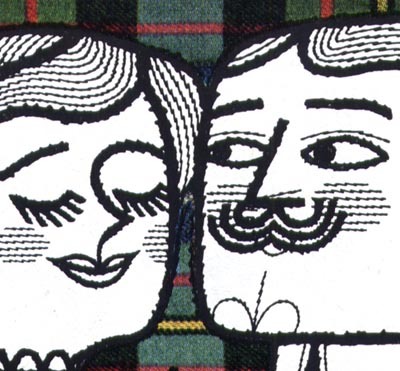 Unless you've been reading this blog since its early days you probably don't know about the husband and wife illustrator team of Naiad and Walter Einsel. 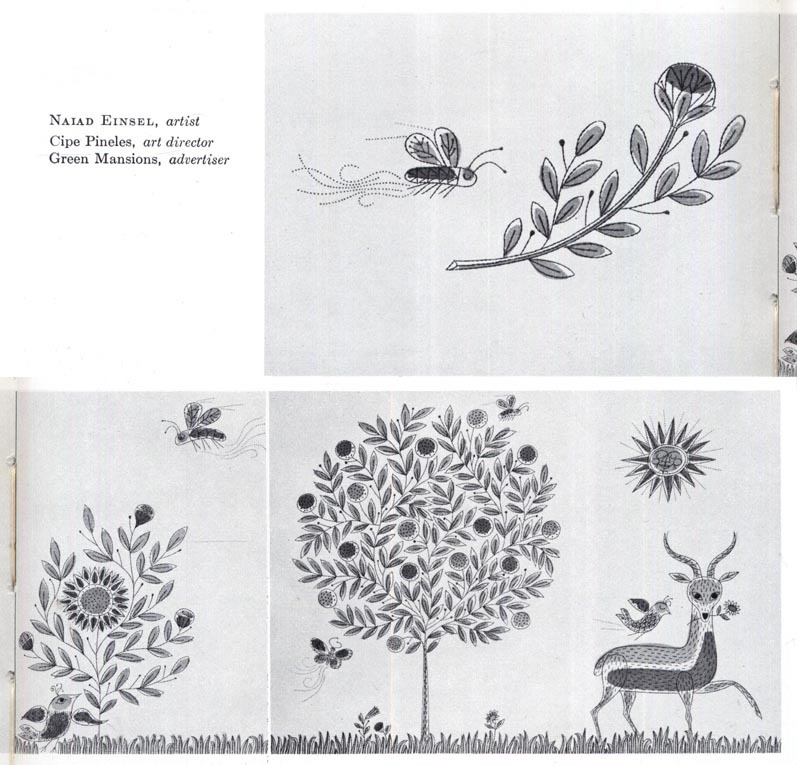 When I first wrote about the Einsels I didn't know just how many illustrators were married to illustrators, or how often those couples worked together... but still, with perhaps the exception of the Provensens, no other artist couple I've come across had so seamless a working relationship as Naiad and Walter. About their working method, which Naiad called "leapfrogging" she wrote, "This was especially useful when one or both of us was under pressure of a heavy work load. First we'd sit down and verbally consult, brainstorming ideas. Then I'd draw a little sketch and Walter would add to that and we'd go on and on in this way, refining all the time." Occasionally, when I'm flipping through my old magazine collection, I'll come across a little spot here or there and know immediately that it is the work of the Einsels. This is always a happy moment for me... their meticulous, distinctive style is so charming that even the little things are a delight to behold. 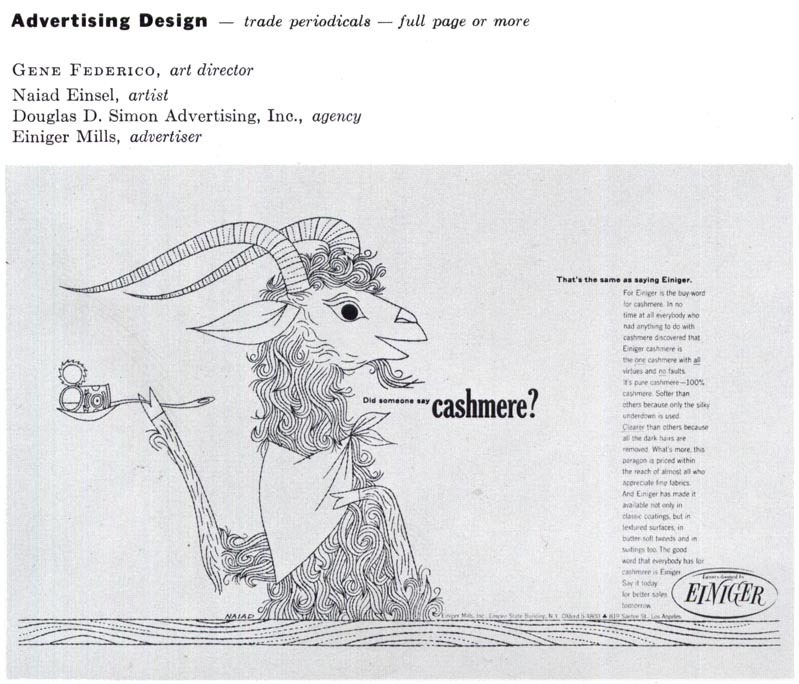 Here are two projects by Naiad which were recognized for inclusion in the 1957 New York Art Director's Annual. I wish we had them as colour reproductions, but for now these will have to do. I haven't corresponded with Naiad since I interviewed her in early 2006, but I was pleasantly surprised to discover there is now a Naiad & Walter Einsel website! When we were corresponding Naiad was busy putting together a book that collected the many hand-made valentines the couple created for each other over the course of their long and happy marriage. 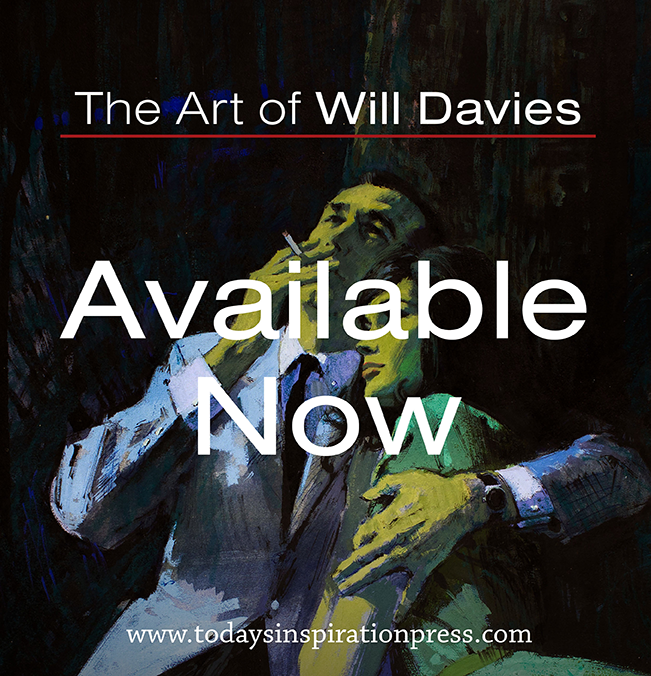 I'm thrilled to see that the book is now available. Thanks, Leif. (The Einsels even look alike!) 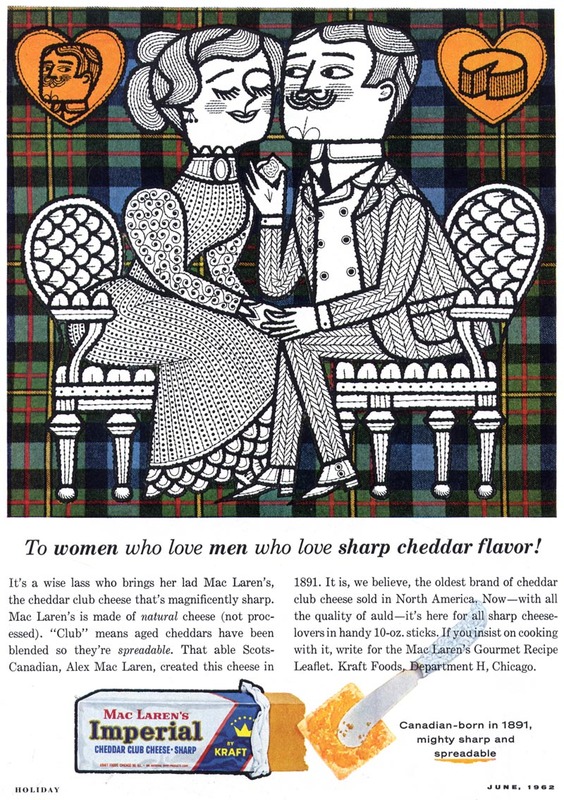 It would have been great to see a sample of their valentines-- you can't really tell much from the link to their book. I suspect many artists do something similar on Valentines Day-- it's only natural. Possibly Leo and Diane Dillon would fall into the same category? I would have loved to have married and lived like Alice and Martin Provensen. It didn't happen for me but it's nice to see others sharing their creativity. P.S. I love my wife and am glad she puts up with me. Another strong couple was Clifford and Rosemary Ellis. They did mainly posters and book jackets. Example here.